A Mi-8 helicopter with passengers on board has crashed in Krasnoyarsk Region, Siberia. Eighteen people have died in the crash. The helicopter, operated by Utair airline, was carrying 15 passengers and three crew members, all of whom have been confirmed dead. The chopper was reportedly taking workers to an oil well. The crash took place shortly after take-off, with the helicopter’s fuel tanks full. The resulting fire is believed to have completely incinerated the aircraft. 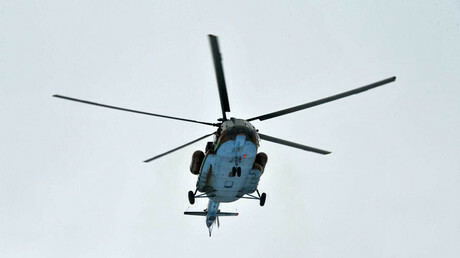 The Krasnoyarsk regional branch of the Emergencies Ministry has confirmed a helicopter performed a “hard landing” in the area at 10:20am local time (3:20 GMT). 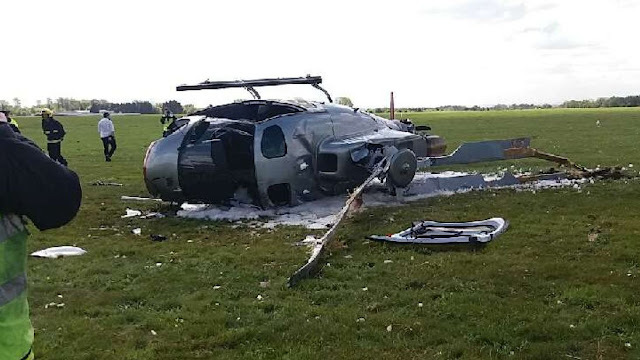 According to sources within law enforcement and emergency services cited by Russian media, before the crash, the airctaft's propeller blades struck the outside cargo carried by another helicopter. The chopper was forced to ditch its load mid-air, but was otherwise unaffected. The Investigative Committee has launched a criminal investigation into the neglect of aircraft safety guidelines. Investigators will inquire into the incident, a local official told RIA Novosti, naming technical issues or pilot error among the most probable causes of the crash. Meanwhile, black boxes from the Mi-8 have already been retrieved from the crash site, but their condition is yet unclear. Almost 80 rescuers and four aircraft have been deployed to collect the debris, the Emergencies Ministry said.